← Kino MacGregor comes to Italy!!!! Because i’ve got a new phone now (iPhone 4 S), i totally forgot about the pix i took with my old phone (HTC Desire)! Here are photo’s of the article in found on the Festa della Musica – Milano 2012 in the magazine insert of a big newspaper in Italy, La Repubblica. You won’t be able to tell at first, but take a closer look (zoomed in photo for ya) and you will see my name! As well my friend’s name too (Koko)! 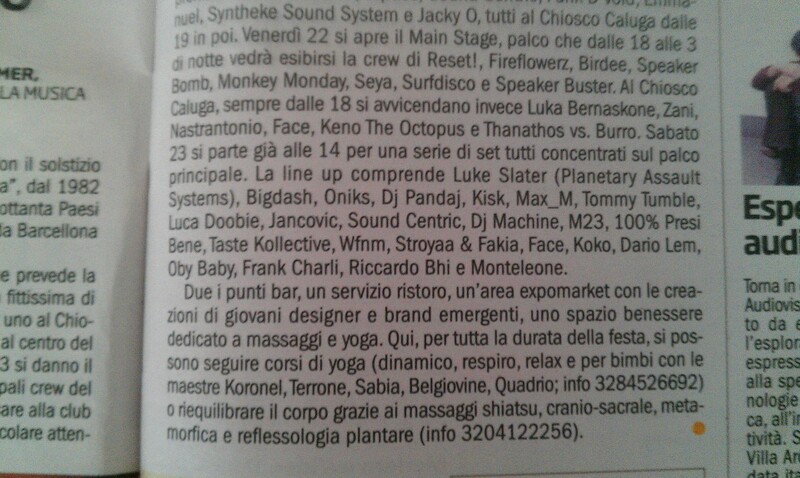 Article found in the magazine insert of La Repubblica. 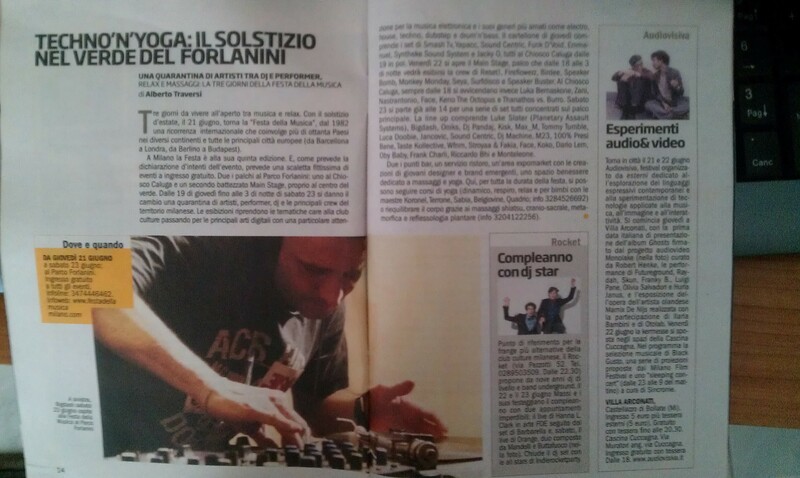 And lastly, here is another article found in the magazine insert of Corriere della Sera – another big newspaper in Italy! This entry was posted in Corsi di yoga a Milano, ctyoga, Milano Italy and tagged Corriere della Sera, cristina belgiovine, ctyoga, festa della musica, Koko Sripakdee, La Repubblica, monica quadrio, Terrone. Bookmark the permalink.